I love makeup, I’m always excited by new products and have to try them out, however I feel I’m stuck in a makeup rut. I love experimenting with new looks for special occasions but on a day-to-day basis I always opt for the same look. I do feel that I have gotten to know what suits me (i.e. the eyeliner flick helps to elongate my round shaped eyes) however it’s time to change it up and experiment more regularly. Oh the irony I sigh as I glance at my watch and it’s just gone past 11.30pm….hmm this may be a tricky one but definitely worth getting more sleep. We all know how important sleep is, it helps our concentration in the day, gives us more energy, makes our skin more vibrant and clearer, our eyes brighter and the list goes on. It does get pushed down my to do list as, like most people, I feel I just don’t have enough time in the day to get everything done. However, I really do want to make it a priority this year so this is one I’ll keep my (hopefully bright) eye on. I paint my nails so much and especially when I am trying out new nail designs I use a lot of nail polish remover, so this year I want to ensure my nails are strong and healthy. My gorgeous friend Orla (from Nails Inc) has the most incredible long nails and she puts it down to keeping them moisturised. Over time nail polishes can stain the nail so the aim of this is to always apply a good base coat, use cuticle oils (a tip from Orla) when I paint my nails and regularly use hand cream, especially at this time of year. I went through a phase a few years ago using a body brush every morning and the results were incredible. My skin felt soft, smooth and firm especially on my dreaded thighs. Sooo it’s time to pick this habit back up. It’s so simple and quick to do with brilliant results so one I feel I can definitely stick to. Last year I found a cute new way to store my makeup by using a few empty turquoise Fortnum & Mason boxes, one for my nail polishes and another for all the beauty products that I don’t use on a daily basis. Brilliant, I thought, somewhere to store my excess beauty items. However, after a month I ended up with the same problem; more excess beauty items that needed a home. So rather than having to find new spaces for additional products, I need to streamline my products to those I actually use. 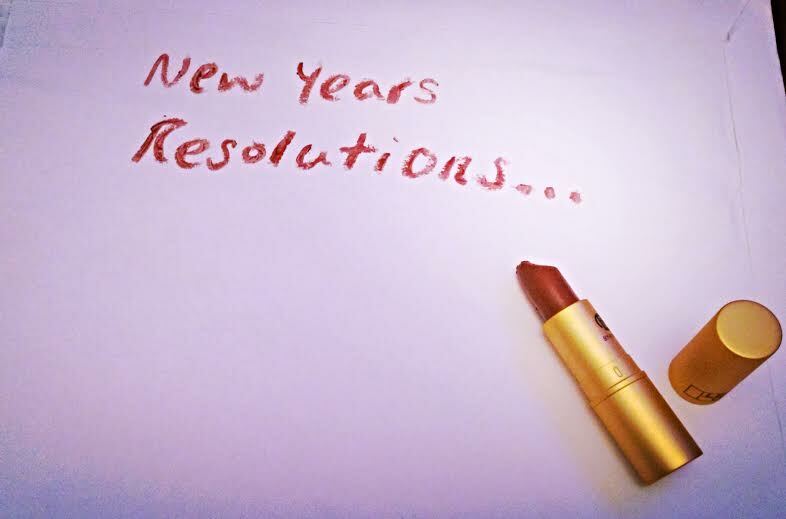 Are any of these part of your New Years resolutions?